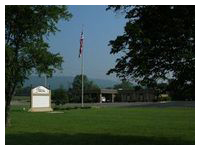 Pikeville Funeral Home was established in 1976 by Mary Standefer, Clay Roberson, and Eston Angel, with one purpose in mind, to give the citizens of Bledsoe County a choice when it came to making their final arrangements. Today, As we have done since Helen Swafford purchased the funeral home in 1995. We will continue to improve our facilities and make Pikeville Funeral Home the premiere funeral home in Bledsoe County. It is our hope that when you come in to our facility that you will feel right at home. This 5000+ sq. ft. facility will accommodate any arrangements that the families we serve require. Our 90+ parking spaces gives our families ample parking. Our spacious chapel can accommodate 300+ people. Our parlors can accommodate any size visitation. We also redesigned our selection room to accommodate more variety as well as additional accessories.